This session covers self-storage operational mistakes that can lead to litigation, from simple errors, such as rental agreements missing important or required terms, to more complicated issues. In these times of reality TV that regularly showcases the self-storage industry, tenants are savvier about the business than ever before. Some of their knowledge is well-founded, while some is misinformation. In both cases, there is greater legal risk for the self-storage operator of being sued for something he did wrong or the customer believes he did wrong. 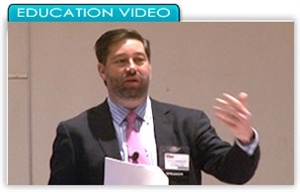 This informative session covers operational mistakes that can lead to litigation. Our presenter addresses simple errors, such as using a rental agreement that is missing important or required terms, to more complicated issues: failing to update documents when your state statute changes, creating unintended bailments, or failing to react appropriately to a tenant-bankruptcy notice. If you do not feel prepared to address these issues on a daily basis, be sure to view this session! This product is also available in DVD format.